On November 22, 1909, thousands of New York shirtwaist textile workers met at the Cooper Union building to meet with the International Ladies Garment Workers Union’s Local 25 leaders to discuss working conditions and wages. Like most organizations in those days, the ILGWU was led by men. For two hours, speaker after speaker gave indecisive speeches warning about the dangers of striking. After the guest speaker, A.F.L.-leader Samuel Gompers, finished speaking, another man rose to speak. Once she got to the podium, she continued, “I have no further patience for talk as I am one of those who feels and suffers from the things pictured. I move that we go on a general strike...now!” The audience rose to their feet and cheered, then voted for a strike. 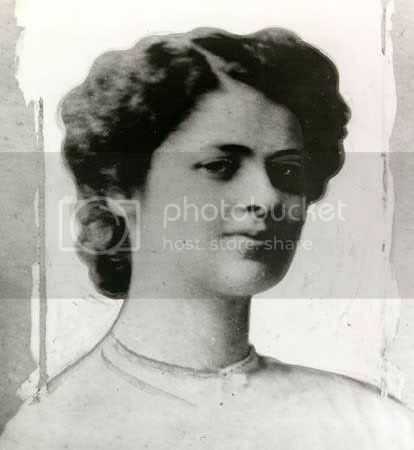 Clara Lemlich had been born in the Ukraine. As a child she had learned Russian over the objections of her parents. She wrote letters for her illiterate neighbors to raise money for her books. One of those neighbors introduced her to revolutionary literature and she became a committed socialist for her entire life. Her family fled to America during a pogrom in 1903. Like many poor, female immigrants in those days, Clara began working in the textile mills shortly after arriving. 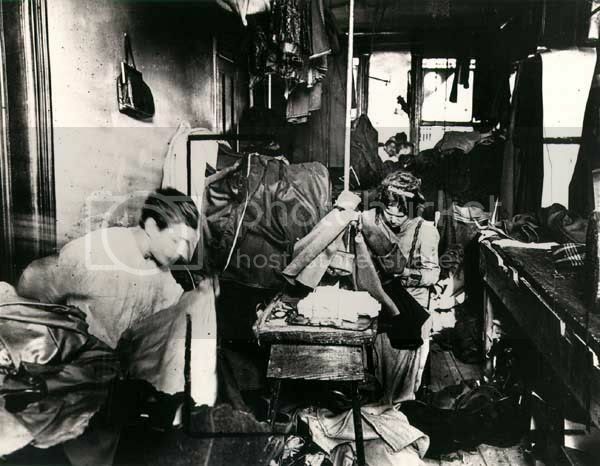 To say that working conditions in the industry were abominable is an understatement. Workers were docked for arriving a few minutes late, talking, missing Sunday shifts, or taking too long in the rest room. The normal 56-hour week might stretch to 70 hours without overtime pay. The pay was below poverty rates, and work during the slack season was assigned preferentially. Workers had to pay for their own sewing needles. Some had to rent the chairs they sat on and pay for the electricity of their sewing machines. Safety was an afterthought. Flammable material was everywhere, and exit doors were often locked so that the workers could be searched on the way out. Children were worked in violation of child labor laws. 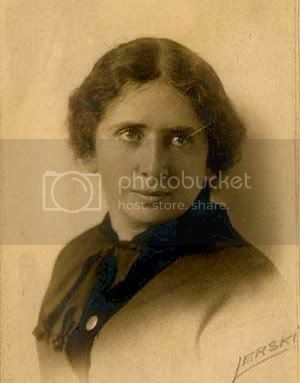 Clara joined the ILGWU shortly after arriving in New York, and was soon elected to the executive board. The ILGWU leadership was mostly male and tended to be conservative, thus the union membership stagnated. The common perception of the times was that poor, immigrant women were impossible to organize. Clara, on the other hand, was outspoken and didn't hesitate to lead several small strikes. By the November 1909 meeting she had already been arrested 17 times, and just a few weeks earlier had several ribs broken by police batons. She was fearless, dedicated and charming. 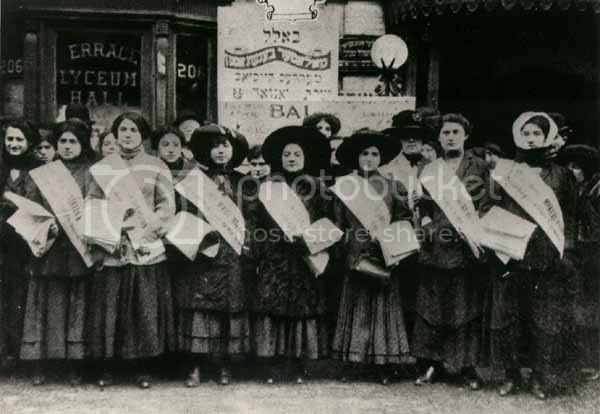 After the strike vote was taken, Clara led the crowd in a traditional Yiddish oath: "If I turn traitor to the cause I now pledge, may this hand wither from the arm I now raise." 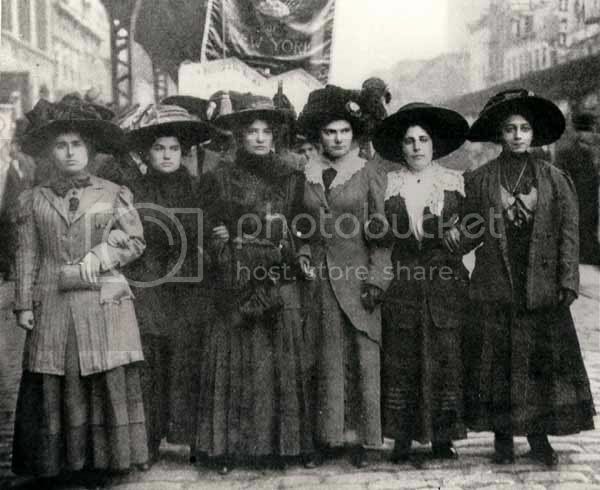 Approximately 20,000 out of the 32,000 workers in the shirtwaist trade in The City walked out over the next two days. "We cannot understand why so many people can be swayed to join in a strike that has no merit. Our employès were perfectly satisfied, and they made no demands. It is a foolish, hysterical strike." The chauvinistic press didn't take the strikers seriously at first. Neither did the industry or the public. What's more, the ILGWU started the strike with all of $10 in its strike fund. But the sheer determination and enthusiasm of the strikers began to turn the tide. Their slogan was,"We'd rather starve quick than starve slow." The 20 largest sweatshop owners, sensing the threat, organized as well. They hired scabs, police, thugs, and prostitutes to break up the picket lines and union meetings. Picketers, some as young as 10, were arrested for trivial, and sometimes imaginary, offenses. Thugs sometimes beat the women while police turned the other way. Fathers and husbands of the strikers implored them not to go to the picket lines for fear of their safety. Despite all this the strike continued. 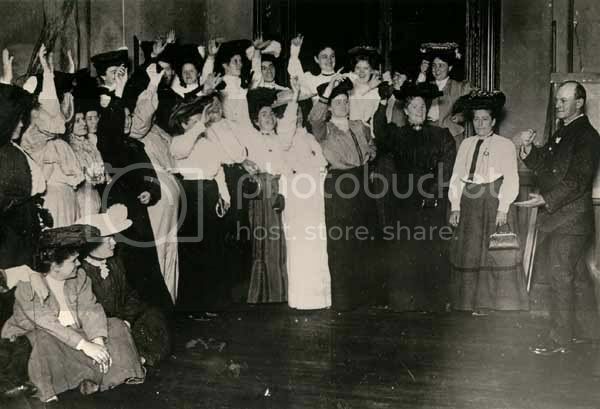 The strikers soon found a natural allie - suffragists. A group of wealthy women, led by Frances Perkins, Ann Morgan and Alva Vanderbilt Belmont aided the strikers by posting their bail, monetary aid, and even walking the picket lines with them. The strike gained momentum. 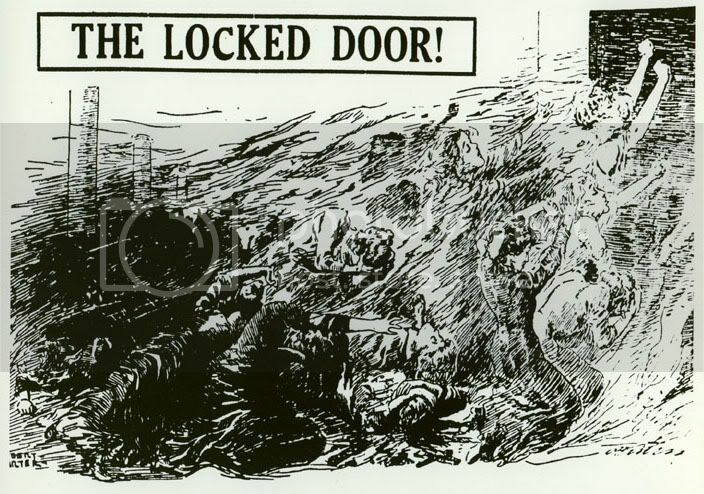 15,000 shirtwaist workers in Philadelphia also went on strike. Even the scabs at the Triangle Shirtwaist factory who were hired to replace the strikers walked out. The media and public were becoming sympathetic to the strikers. A month into the strike, most of the small and mid-sized factories settled with the strikers, who then returned to work. The large factories, which were the holdouts, knew they had lost the war of public opinion and were finally ready to negotiate. They agreed to higher pay and shorter hours but refused even to discuss a closed shop (where factories would hire only union members and treat union and nonunion workers equally in hiring and pay decisions). 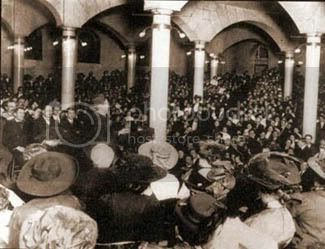 In February 1910 the strike was ended. The strikers were rehired and most of their demands were met. 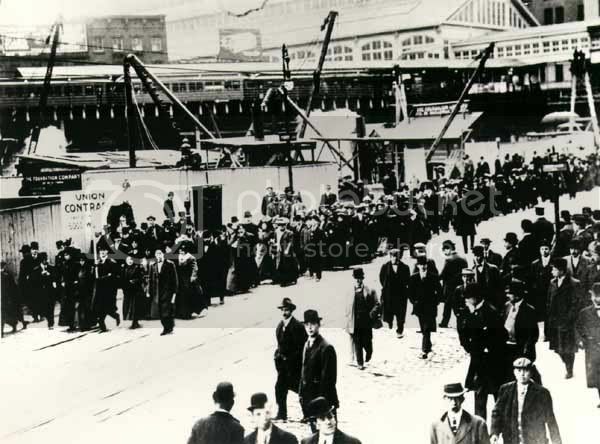 The ILGWU members, which numbers only a few hundred before the strike, now numbered 20,000. However, there was one company that refused to sign the contract - the Triangle Shirtwaist Company. On March 25, 1911, a fire began on the 8th floor of the factory. Workers on the 8th and 10th floors were alerted to the danger and most were able to evacuate in time. The workers on the 9th floor weren't so lucky. The floor only had two exits. One of the exits was filled with smoke and fire by the time the workers realized the danger. The other exit was locked by their employer. The elevators had stopped working after panicked workers jumped down the elevator shaft trying to land on the roof of the elevator. The firemen were helpless, as their ladders couldn't reach past the 6th floor. 62 women died when realizing they couldn't escape, jumped out the windows to their deaths. The rest waited until smoke and fire overcame them. Only one jumper who leaped down the elevator shaft survived. 141 workers died at the scene. 7 died later of injuries sustained. It was the worst office place disaster in American history until 9/11. Clara by this time had been blacklisted out of the industry for her union activities. She went to the armory where the bodies of the workers had been taken in order to find a missing cousin. A newspaper reporter said she broke down into hysterical laughter when she couldn't find her. 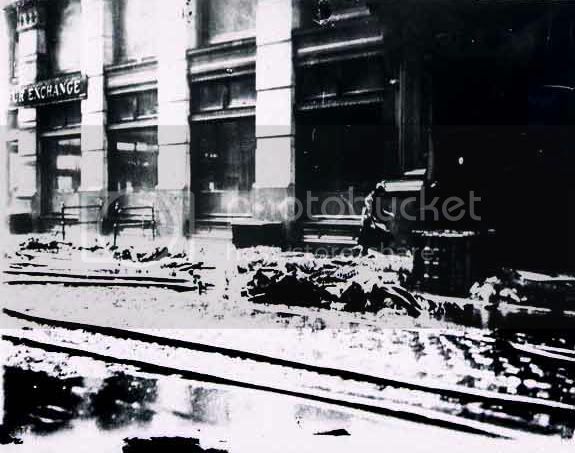 The company owners, Max Blanck and Isaac Harris, had managed to survive the fire despite being on the roof when it began. They were put on trial, but the jury found them innocent because the defense couldn't prove that they knew the exit door was locked. 350,000 people participated in the funeral march a few days later. At the memorial meeting, Rose Schneiderman gave a speech that has meaning even today. I would be a traitor to these poor burned bodies if I came here to talk good fellowship. We have tried you good people of the public and we have found you wanting. The old Inquisition had its rack and its thumbscrews and its instruments of torture with iron teeth. We know what these things are today; the iron teeth are our necessities, the thumbscrews are the high-powered and swift machinery close to which we must work, and the rack is here in the firetrap structures that will destroy us the minute they catch on fire. This is not the first time girls have been burned alive in the city. Every week I must learn of the untimely death of one of my sister workers. Every year thousands of us are maimed. The life of men and women is so cheap and property is so sacred. There are so many of us for one job it matters little if 146 of us are burned to death. We have tried you citizens; we are trying you now, and you have a couple of dollars for the sorrowing mothers, brothers and sisters by way of a charity gift. But every time the workers come out in the only way they know to protest against conditions which are unbearable the strong hand of the law is allowed to press down heavily upon us. Public officials have only words of warning to us – warning that we must be intensely peaceable, and they have the workhouse just back of all their warnings. The strong hand of the law beats us back, when we rise, into the conditions that make life unbearable. I can't talk fellowship to you who are gathered here. Too much blood has been spilled. I know from my experience it is up to the working people to save themselves. The only way they can save themselves is by a strong working-class movement. As for Clara, she left the ILGWU because of disgust with its conservative leadership and her inability to work in the industry. She joined the women's suffrage movement. However, her working class roots conflicted with the upper class movement and she was fired less than a year later. Eventually she got married, had children, and became a housewife and consumer advocate, but she never drifted far from the union movement. She led eviction protests and organized relief for working strikers. To her dying day she was an unapologetic communist. At the end of her life she entered the Jewish Home for the Aged in Los Angeles. While there she organized the orderlies into a union and prodded the management to join the United Farm Worker's boycott of grapes. Clara Lemlich passed away on July 12, 1982. Thanks for the article. Clara is my grandmother and all of her kin are quite proud of her contribution to peace and social justice. As a young girl of eight I sat on my Great Aunt Clara's tiny lap, staring into her thick coke bottle glasses and listened to the stories of her struggles for the betterment of the working classes. She was and always will be my hero. She was and always will be the BEST baker of rugelach pastry in the world! Thank you for keeping her memory alive.